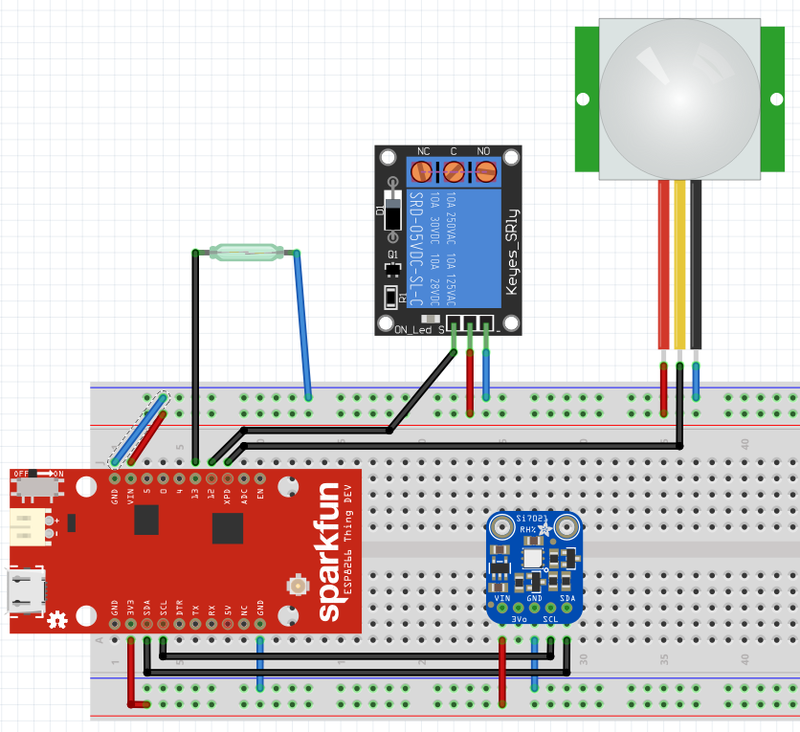 Monitor temperature/humidity, detect motion, and control your garage door over MQTT with a single device! Onboard LED we can blink to show activity! 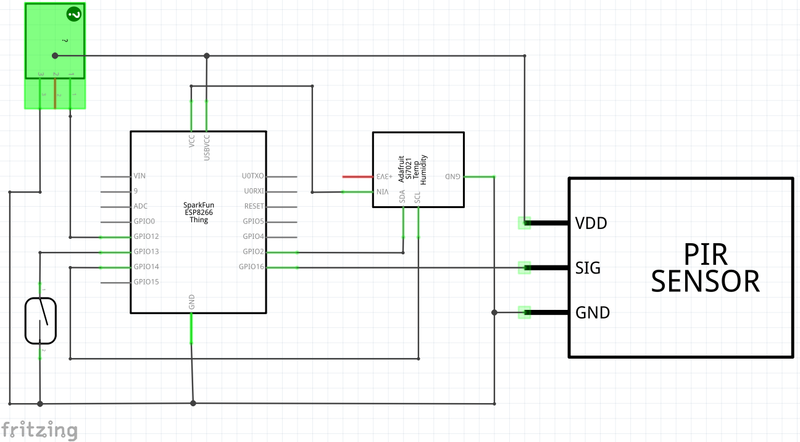 While this is completely functional, I do hope to eventually design a simple PCB I can solder everything onto, and then design & 3D print a plastic enclosure to house the project!